Travelers Czech Pilsner: off to a crisp start! March 26, 2019: The Hogtown Brewers Homebrew Club -- that self-proclaimed "merry band of beer enthusiasts with a homebrewing problem" -- once again hosted the 8th Annual Hogtown Craft Beer Festival in Gainesville on Saturday, March 23. The popular beer-sampling fest returned to the Alachua County Fairgrounds for its second year. Just under 100 breweries (including several homebrew clubs), arranged in the signature "pods" generally grouped by geographic location, poured beer of all styles. 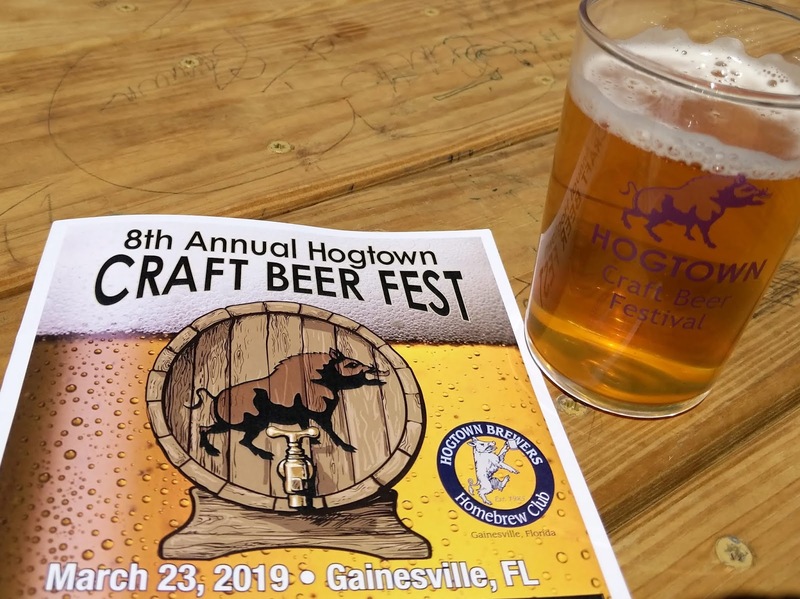 In addition to the large number of Florida breweries on site, regional, national and even international breweries offered beer to attendees at the sold-out fest (hey, we tried to warn you ahead of time: don't snooze on this in 2020!). For those who just couldn't wait to see the fest beer list, or who wanted to plan ahead, there was an app for that, including a list of breweries by name and fest location right there in the palm of your hand. At the fest entry, pick up the printed program and fest glass and .... go! 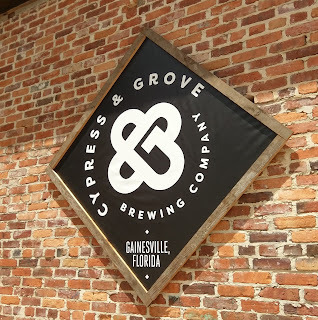 It seems that new breweries are always "cool," but Cypress & Grove Brewing, which opened its brewery just this past June in a former Gainesville ice plant, gives new meaning to "cool brewery." 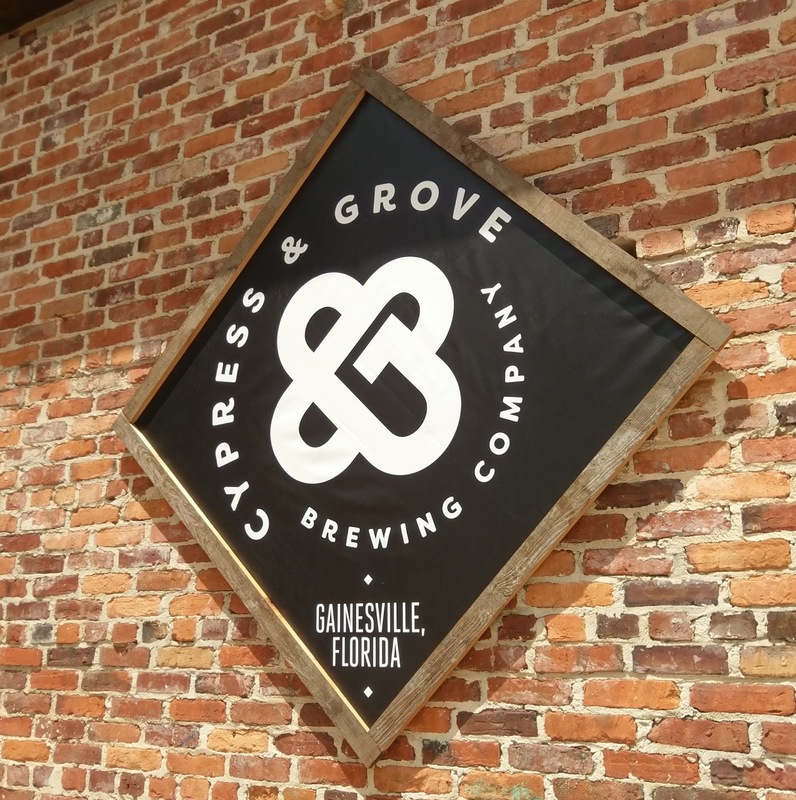 The brewery is located just a bit north of downtown Gainesville and University of Florida, two blocks off of Main Street, at the intersection of NW 4th Street and NW 10th Avenue. Unless you're a map geek, that may not be especially significant by itself, but those cross-streets were formerly named Cypress and Grove. Ah, yes, the name! 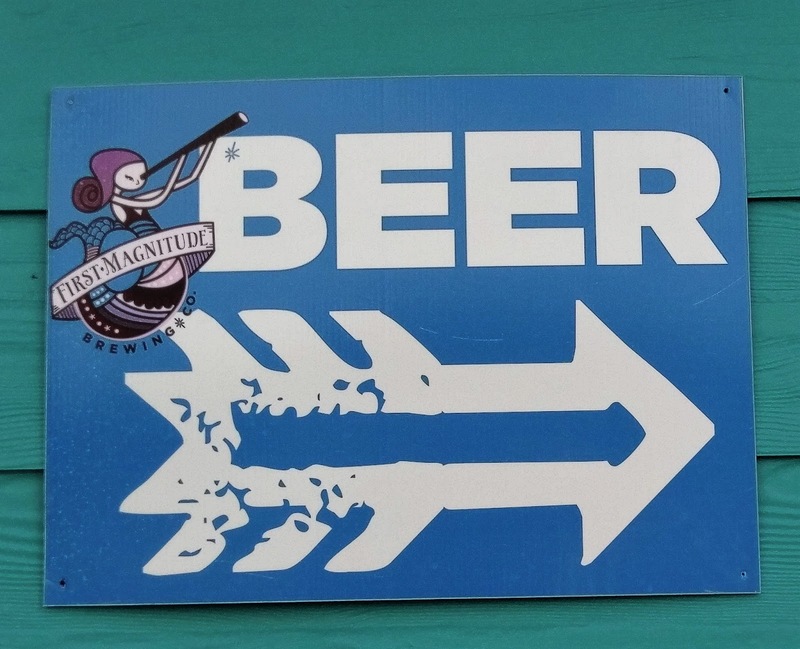 Whether or not you realize it when you drink that beer, beer and science just go together. 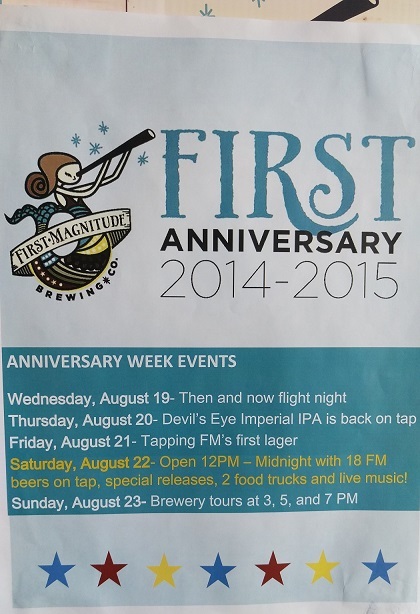 On April 6, First Magnitude Brewing Company (Gainesville) will release a limited batch of a true original pale ale. The beer is not only a product of First Magnitude's skilled brewers led by John Denny, but it's also a testament to advances in scientific research. When the brewery releases its "Apopka Hop Pale Ale," the public will get a taste of the first beer brewed exclusively with 100% Florida-grown hops. When the calendar rolls around to mid-April, you know it's time for Gainesville Craft Beer Week and its signature event, the HOGTOWN CRAFT BEER FEST! The fifth edition of the Fest marked my fourth year in a row attending (last year's recap here), with my first two times behind the tables as a vendor. 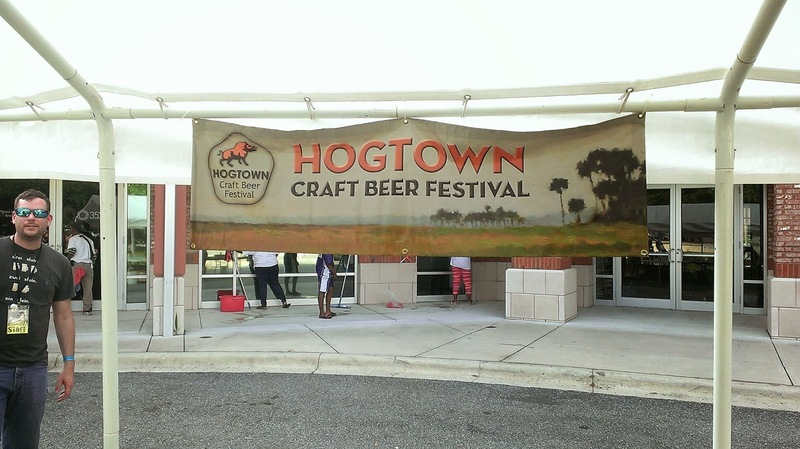 Organized by the Hogtown Brewers Home Brew Club, this was the second year the fest was held at the Tioga Town Center. 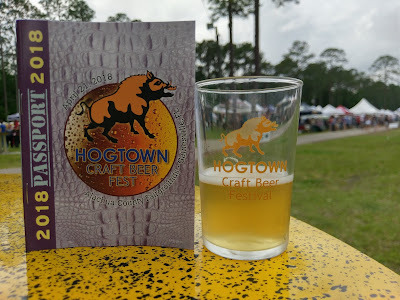 While the Fest was the main reason for my visit to Gainesville this time around, that wasn't all -- it was a Beer Weekend in Hogtown -- from late Friday afternoon thru late Sunday morning. So, at the outset, you just might want to put this fest on your to-do list for 2017 when they'll do it again for the sixth time, because it's one you don't want to miss. 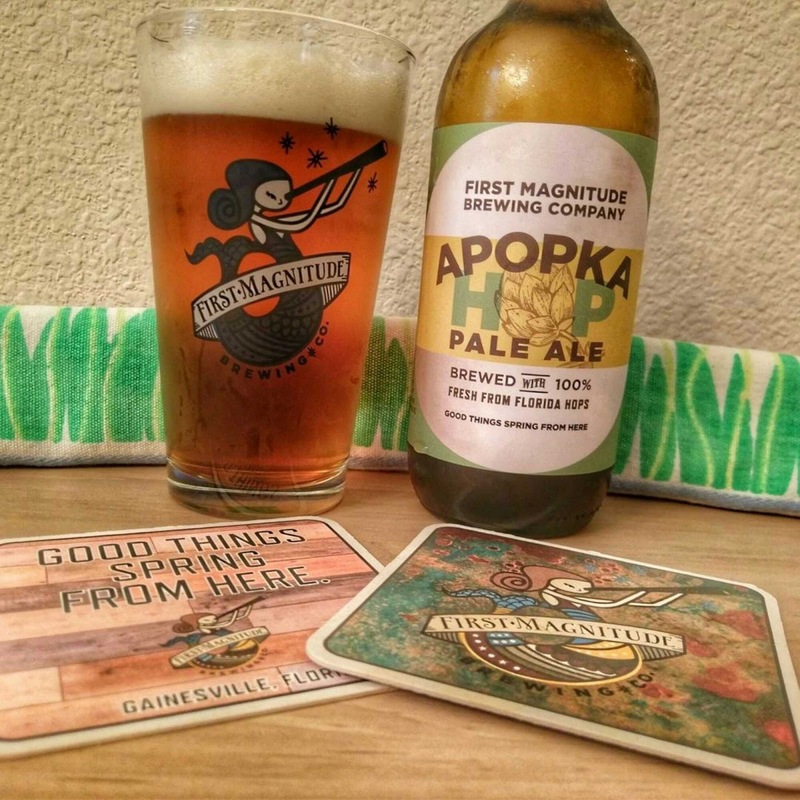 When First Magnitude Brewing Co. in Gainesville sprang onto the Florida craft beer scene last year (opening in August 2014), you had to wonder what was behind the name and logo. That's a story in itself. 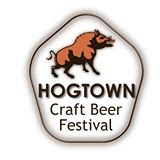 The forecast for the 4th Annual Hogtown Craft Beer Festival last Saturday, April 18, called for rain and storms. Little by little, hour by hour, the forecast improved, and it turned out to be a beautiful day for some beer sampling and meeting new and old friends.